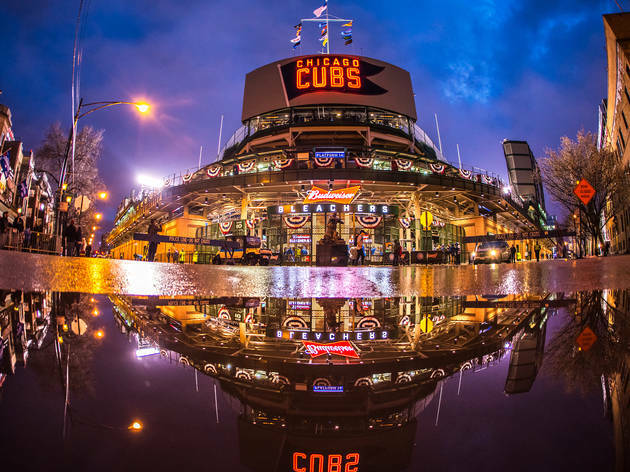 Whether you're here for the game or in search of a great cocktail, the best Wrigleyville bars are here to serve. Wrigleyville bars don't exactly have the best reputation. They're known for being loud, smelly and sometimes rowdy (especially if the Cubs are on). 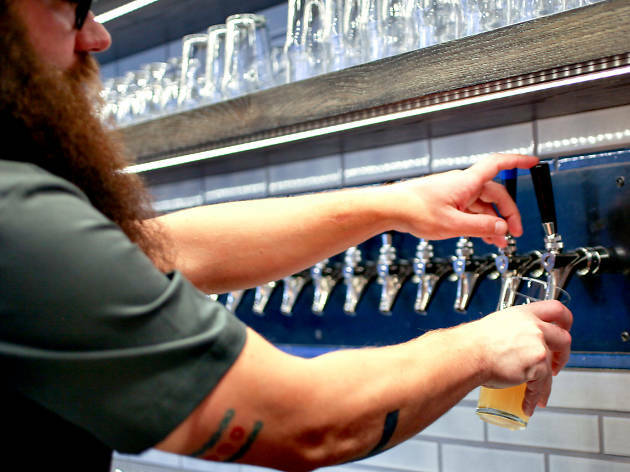 But if you're trying to get in on the action, there's no denying that these North Side watering holes will put you in the epicenter of excitement. 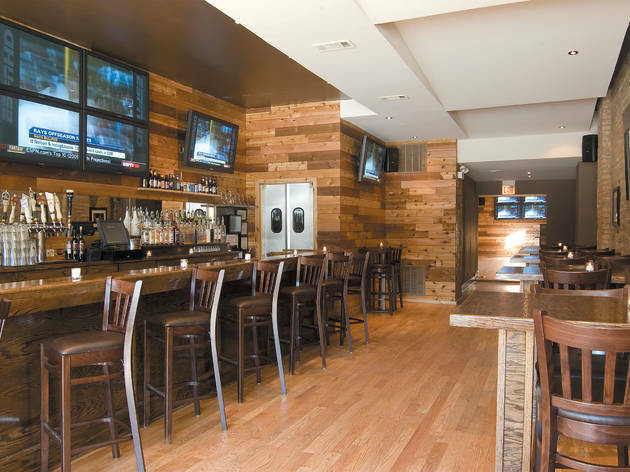 Whether you're looking for a fan-packed beer bar that's plastered in TVs or a quiet cocktail lounge with sophisticated sips, there's a place for you in this non-stop neighborhood. 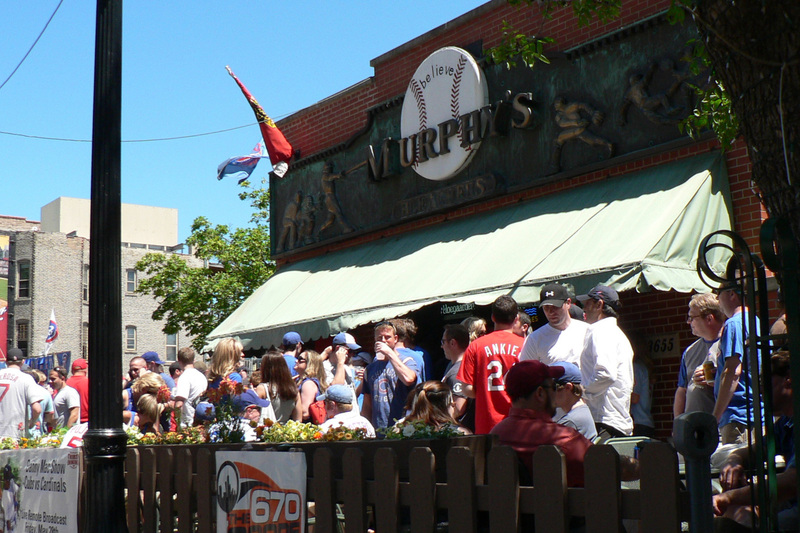 Put on your favorite Cubs T-shirt and grab a seat at our favorite Wrigleyville bars. 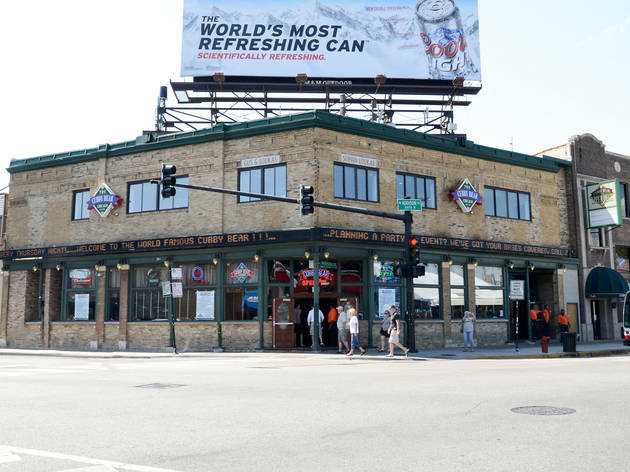 When we heard that one of the country's largest selections of collectible vintage spirits could be found in a Wrigleyville bar, we thought there must be a mistake. 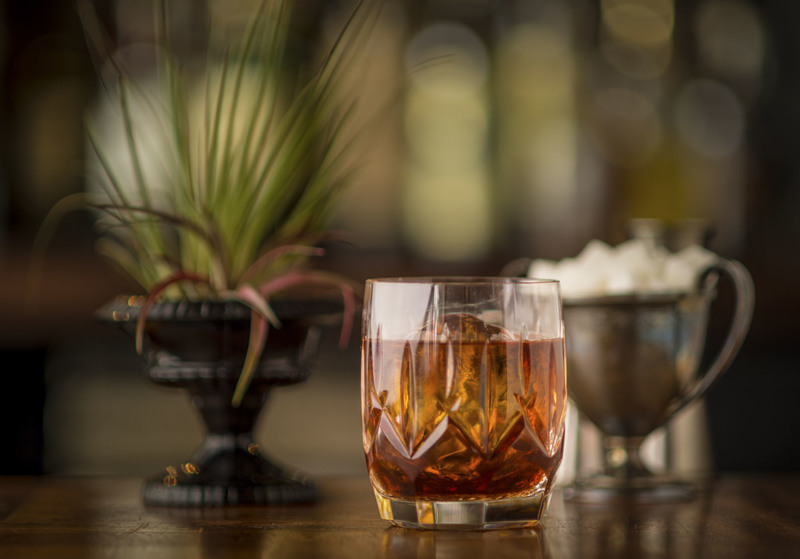 But it's true: Matthias Merges's Mordecai serves its supply through limited-edition pours and classic cocktails, like Four Leaf Clover, with 10-year-old malted Irish whiskey, Alpine amaro, creme de menthe and green chartreuse. Pair your expertly mixed cocktail with the hamachi crudo, a goat bratwurst or an order of Crackerjack beignets. Formerly known as the Gingerman, this Wrigleyville bar changed its name when it was bought by the owners of adjacent venue Metro. 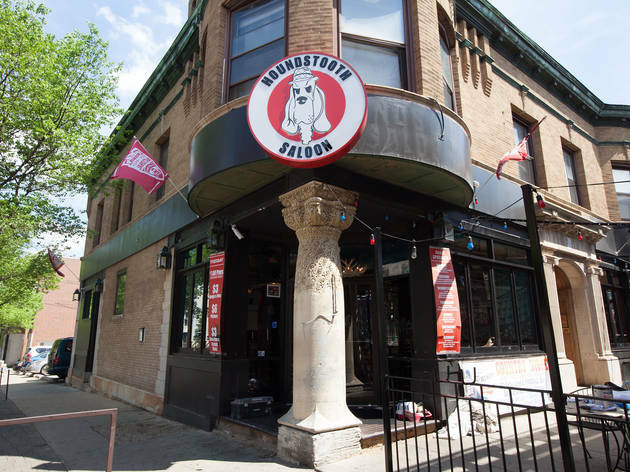 Now it's the official pre-show watering hole for concertgoers (and sometimes performers) who want to pump quarters into the bar's formidable jukebox. 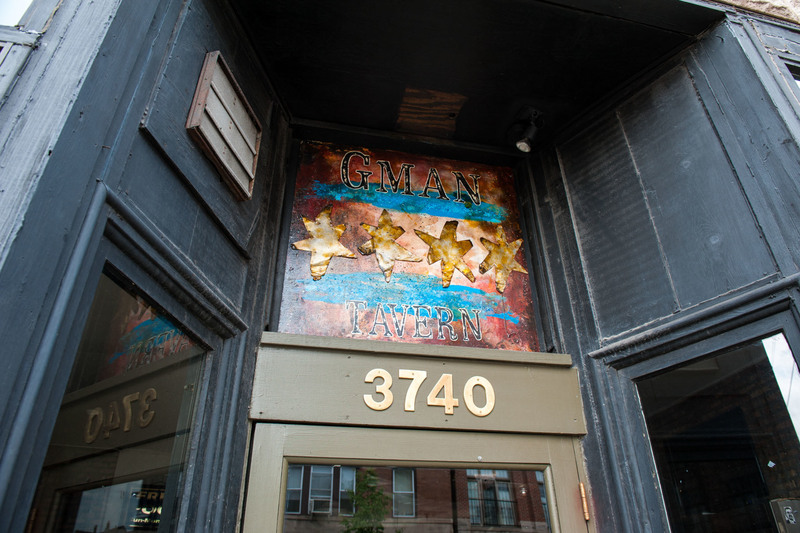 Gman's back room has been repurposed to include a second bar, a small stage for intimate performances and more room to mill about before the headlining act goes on next door. 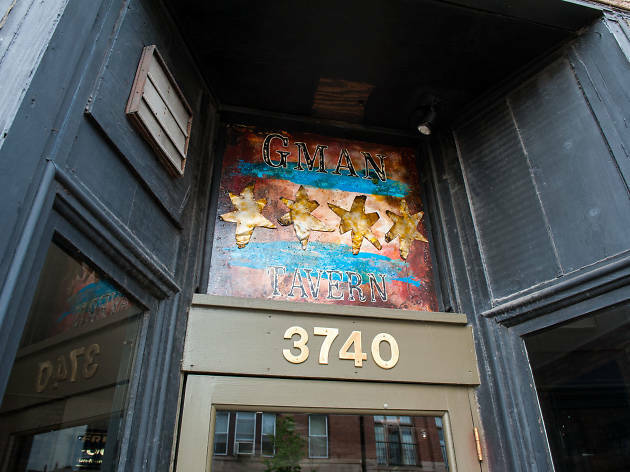 Originally housed on the fourth floor of the magnificent Wrigleyville building (also home to Metro), this venerated dance club is now in the basement. 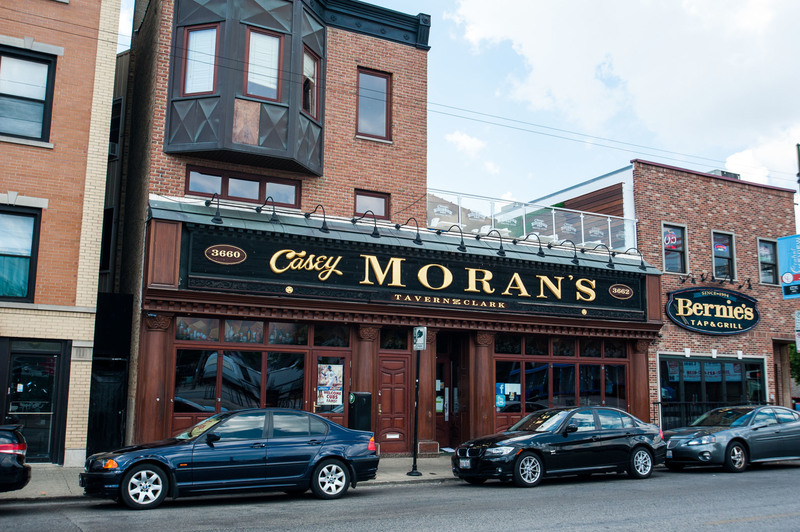 A makeover in 2006 slicked up the looks a notch and brought back a vibrant young crowd. 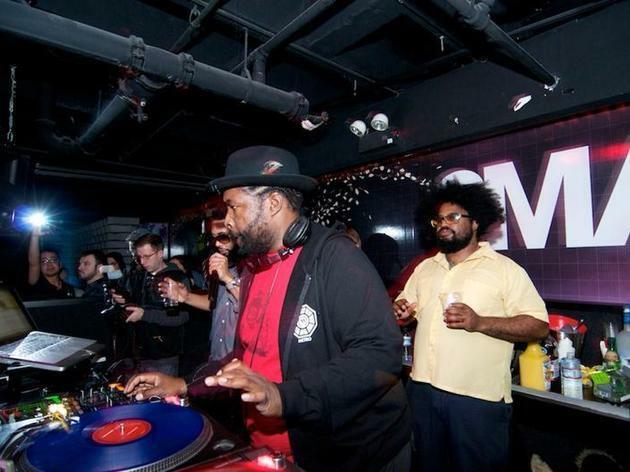 But more important, the club boasts a world-class Funktion One sound system, which sounds tremendous on the central dance floor. Typical bills find cutting-edge DJs from Europe, Detroit and Chicago spinning for the crowd and the weekly Queen! 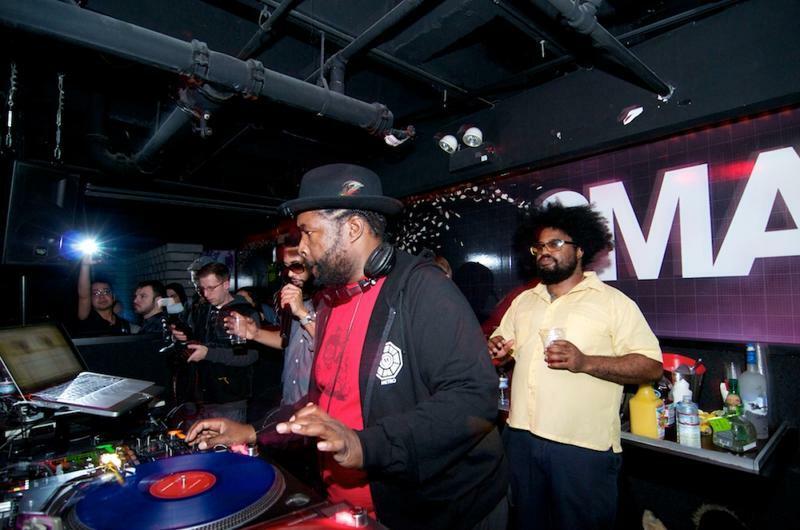 house music party takes over the venue every Sunday night. 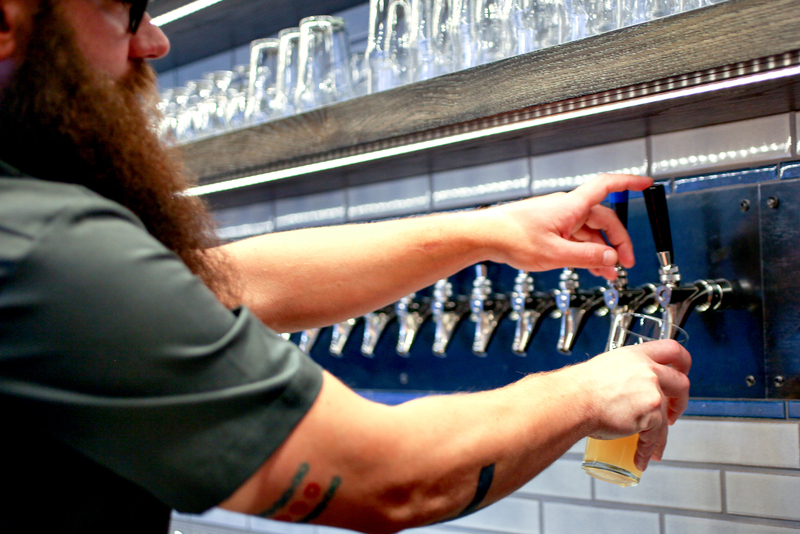 Neighborhood folk and game-day revelers flock to this bar for its impressive selection of local beers on tap from brewers like Lo Rez, Pipeworks, Off Color, Maplewood and Moody Tongue. All beered out? 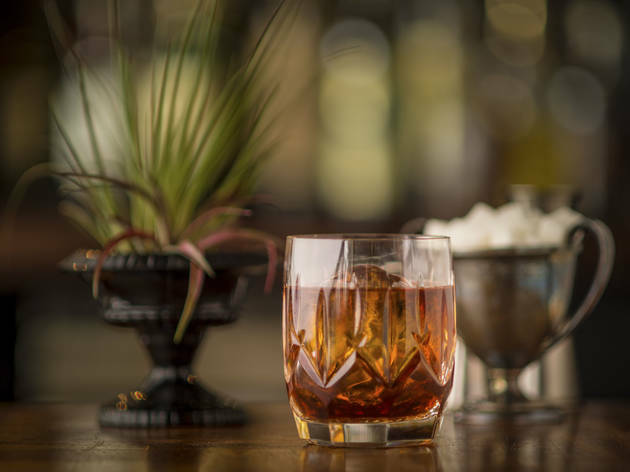 Ask for a draft cocktail; there are four classic options from the mix masters at Billy Sunday. The abbreviated food menu—which includes lamb sticks, a warm pretzel and honey or pork pig tails—isn't much to look at, so plan your imbibing accordingly. 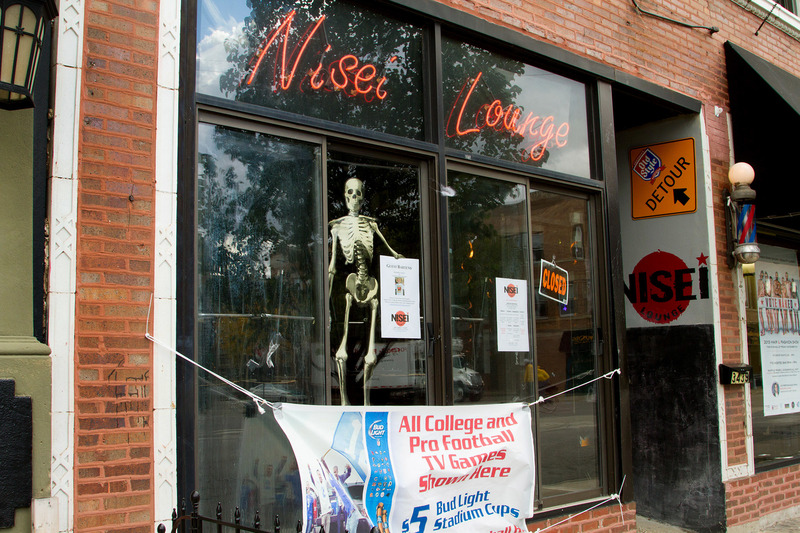 Since opening in 1951, not much about this Wrigleyville dive has changed. 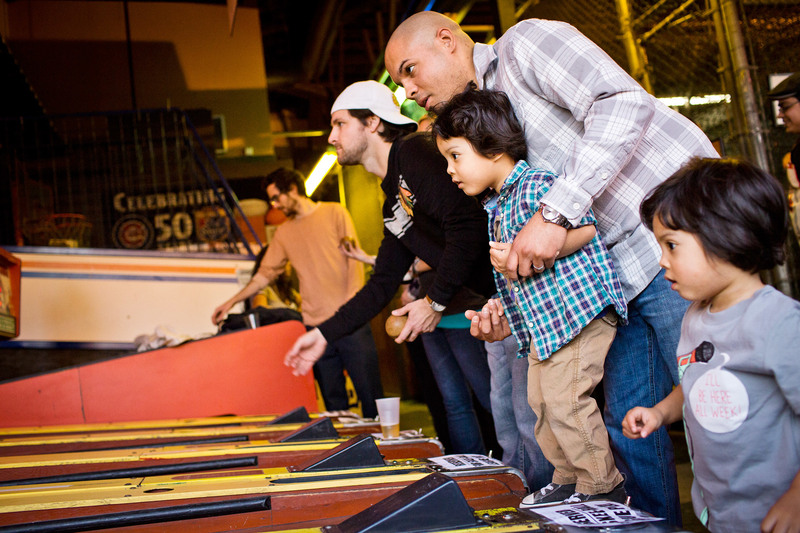 The dartboards, pool table, jukebox and regulars are still a blast from decades past. A few notable modern conveniences (i.e. 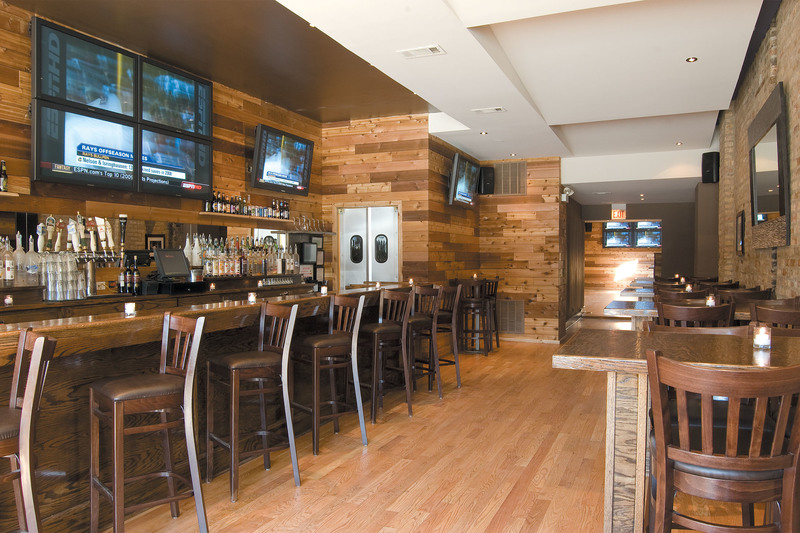 TVs and the fact that they accept credit cards) make it an excellent choice for game day. And if you're a fan of Malört, make sure to ask about the bar's latest concoction involving Chicago's favorite bitter liquor. There's a clear attempt to elevate this sleek cedar-paneled space beyond its beer-stained, royal blue neighbors while still honoring that baseball team a block away. Glossy flat-screens, scantily clad servers and a continuous mix of Counting Crows-ish tunes aren't rare in these parts, but specialty drinks like the Lavender Aviation and New London Fizz add some distinction. 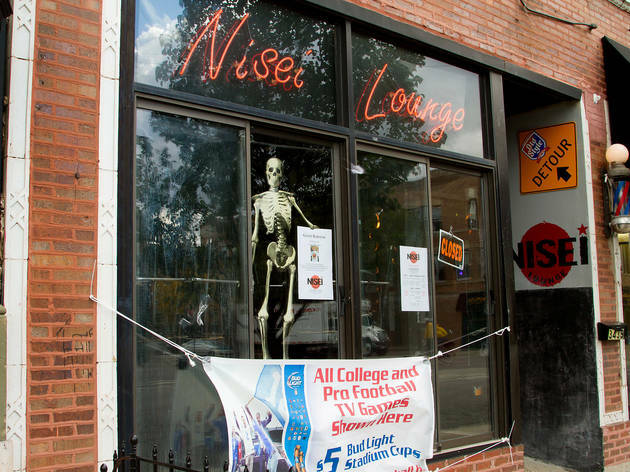 For those experiencing Cubby withdrawal, here's a place to liquor up while looking longingly at Wrigley Field across the street. 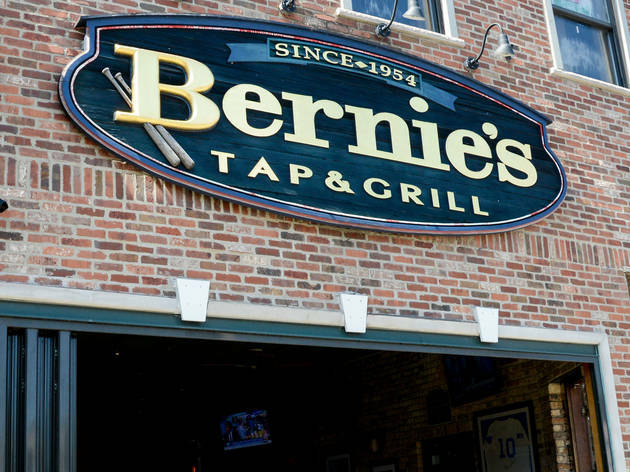 During baseball season, you could book one of two private rooms, each with a small bar, 15 seats and five TVs, and order some burgers, corn dogs or pulled-pork sandwiches while watching the game. Or do it now and watch a video of winning games. 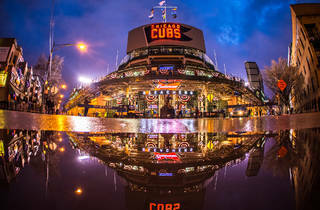 Can't snag a bleacher seat at the Friendly Confines? Don't fret. Bathed in dark wood and brimming with beer, burgers, apps and wraps, this surprisingly friendly bar just a stone's throw north is the next-best place to park your tush on game day. With 35 HD plasma TVs, you'll catch every angle without catching a single harmful UV ray. 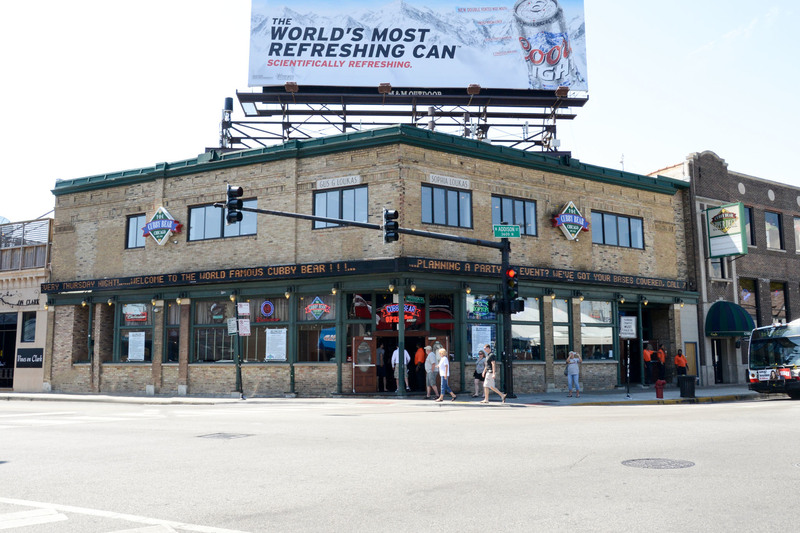 Located just across the street from Wrigley Field, it's no wonder that this 30,000-square-foot bar has amassed a strong following. 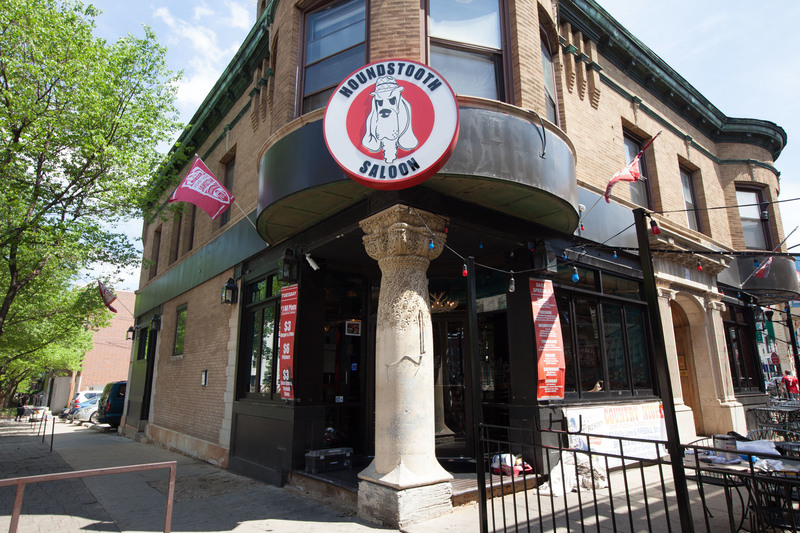 If you've got friends in town who are looking to cheer on the Cubs with a rowdy but good-natured crowd, the Cubby Bear is a solid bet. 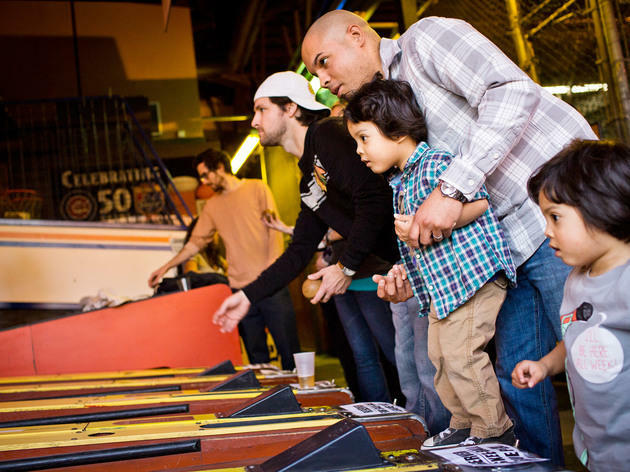 Plan a return trip to enjoy the venue's lineup of live music or practice your fancy footwork at Live Salsa Sundays. Function trumps form and comfort at this woody, yet cavernous Cubbie corral and outdoor stable, er, patio behind the Friendly Confines. The clientele of former frat brothers and sorority sisters wants its alma mater’s game on the TV and it wants it now—not a problem considering the prevalence of flat-screens. 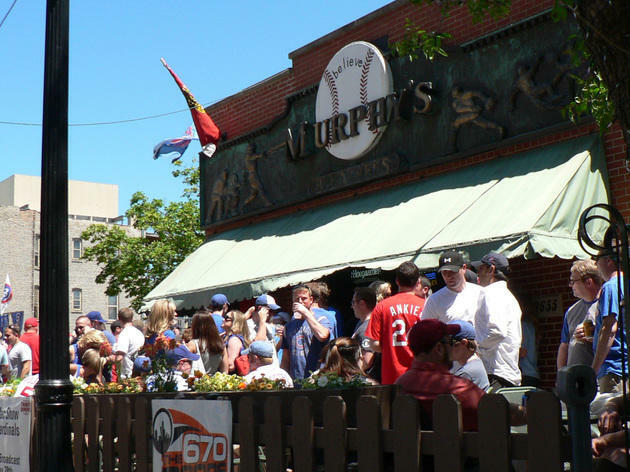 What can lure sports fans away from a sidewalk patio that’s spitting distance from Wrigley and offers a front-row people-watching? 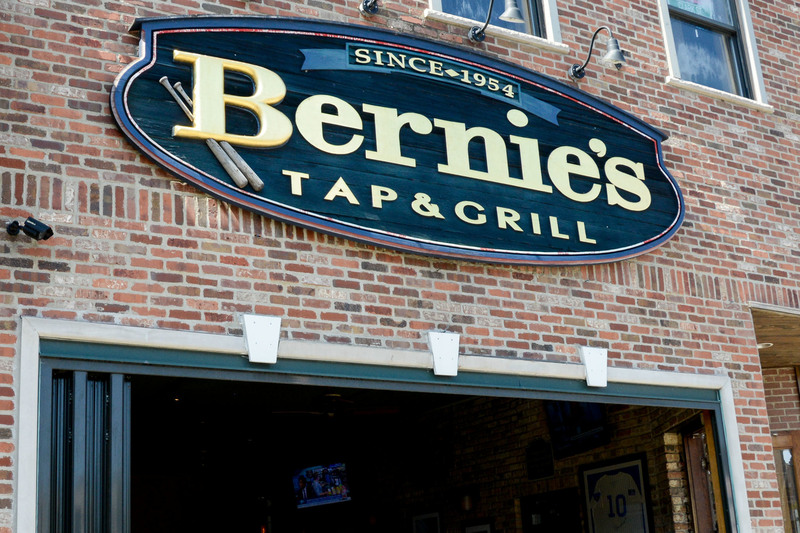 A bajillion TVs playing every televised game, a batting cage, Pop-A-Shot, mini bowling and more wings than even “The Fridge” Perry can handle. It's easy to get caught up in Southern pride when Alabama alums holler "Roll Tide" at the flat screens with a Lone Star in one hand and a pulled-pork hoagie in the other. 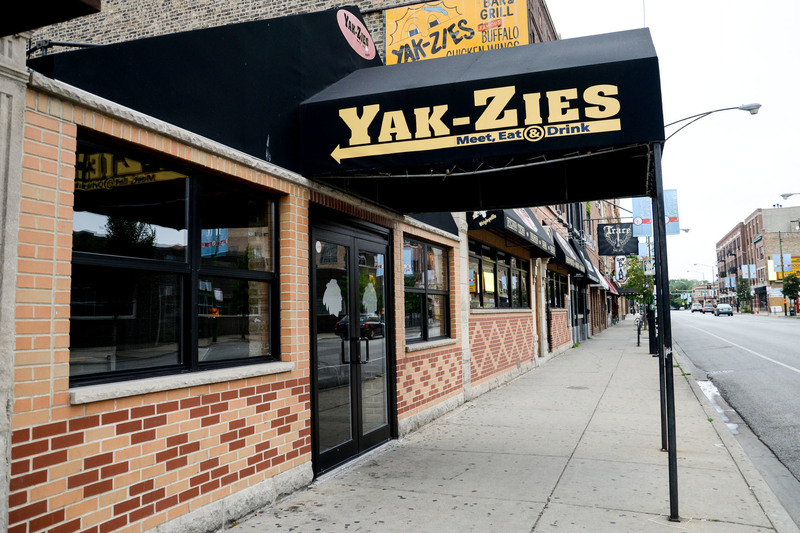 The familiar Old Style lettering glows out front, lest you forget the bar's Chicago roots. 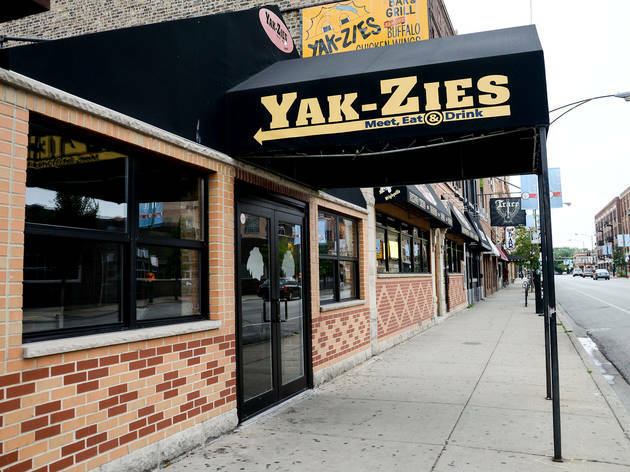 Located just one block north of the Friendly Confines, the dual bars and large patio draw out the pre- and post-game Cubs fanatics who take comfort knowing that no matter which glazed-wood table at which they choose to eat hot wings, they'll be just feet away from at least one of the two dozen TVs.